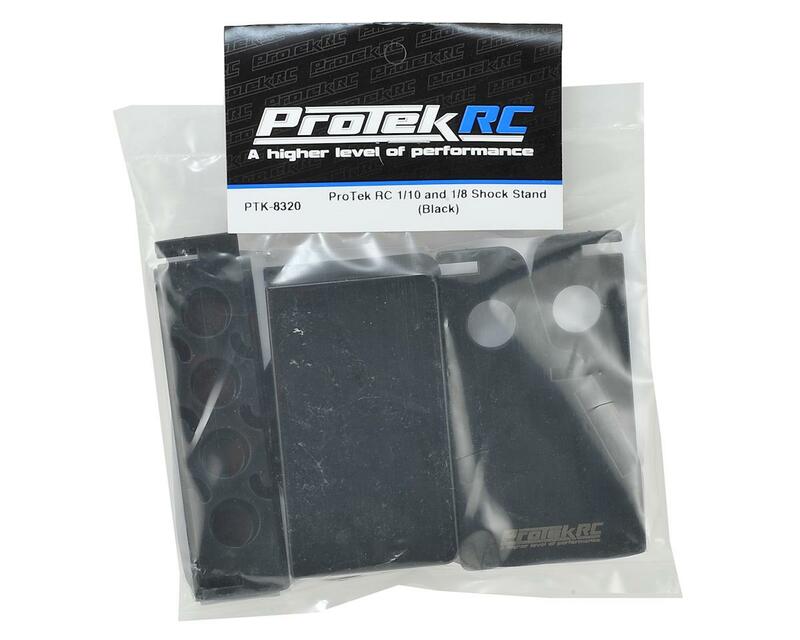 The ProTek R/C Shock Stand is a great addition to any enthusiast's tool box. At first glance, this shock stand looks like others you may have seen, or maybe even already have in your tool box. But, the ProTek shock stand is indeed unique! This stand features a twin deck design and a lower pull out drawer with two compartments. The upper deck is used to hold shock bodies and features four 16mm diameter holes that taper to 15mm, making it compatible with a variety of shock types. The upper deck also has six slots that can be used to hold shock shafts. The lower deck features four 14mm holes that taper down to 12mm, and is used to hold shock caps. The lower deck also features an 85mm long scale that can be used to measure the distance between the bottom of the shock body and the top of the shock end, as well as rebound, shock shaft length and more for a precise build. The upright plate has a magnetic strip with a 7mm deep lip that can be used to hold small screws, c-clips and other small steel items. But, its the removable lower drawer that makes this shock stand different from the rest! 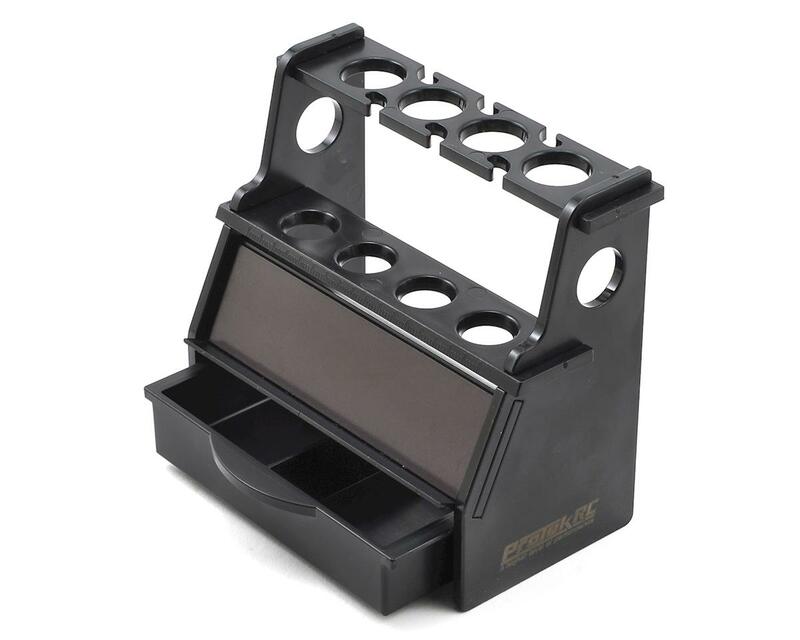 The drawer has two compartments that are a perfect place to stash your o-rings, pistons, shock ends and other small shock components during a build or rebuild. "The upper deck is used to hold shock bodies and features four 16mm diameter holes that taper to 15mm, making it compatible with a variety of shock types."